Former Secretary of State rips Trump for leaving Iranian nuclear deal, claims the President "makes things up". 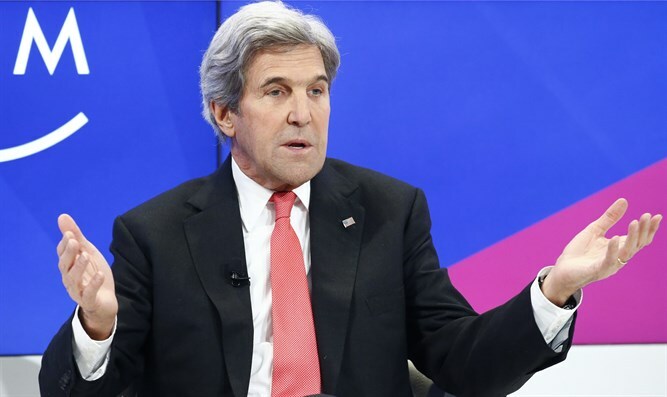 Former U.S. Secretary of State John Kerry on Sunday ripped President Donald Trump over his decision to leave the 2015 Iranian nuclear deal, claiming the President “doesn't know what he's talking about”. In an interview with CBS’ “Face the Nation”, Kerry rejected Trump’s comments that the deal is the worst deal he has ever seen. “[J]ust saying that doesn't make it that. This is the toughest agreement in terms of inspection, accountability, what Iran was required to do, with the greatest visibility for the longest period of time of any nuclear agreement on the planet,” he continued. “No country has had to do what Iran did in order to live up to this. But to just walk away while Russia, China, France, Germany, and Britain are all trying to keep this agreement in place. Only the United States walked away, only Donald Trump. So I think that experts who understand- the Defense Department - his defense secretary thought he should keep it. The Secretary of State that he got rid of (Rex Tillerson -ed.) thought he should keep it. His intelligence people thought he should keep it,” said Kerry. Trump withdrew from the accord in May and recently signed an executive order officially reinstating U.S. sanctions against Iran. Kerry was asked in Sunday’s interview about his efforts to save the deal. The Boston Globe revealed in May that Kerry met with Iranian Foreign Minister Mohammed Javad Zarif, angering Trump who in turn blasted Kerry on Twitter. “So he really, unfortunately, and I say this sadly- you know, more often than not he really just doesn't know what he's talking about. He makes things up, and he's making that up as he has other things,” charged the former Secretary of State.